At Southern Cross Sheds, we understand how confusing it can be when shopping around for a Domestic shed, Industrial shed, Patio, Carport, Aircraft Hangar, Covered Arena, Stable or American style Barn. 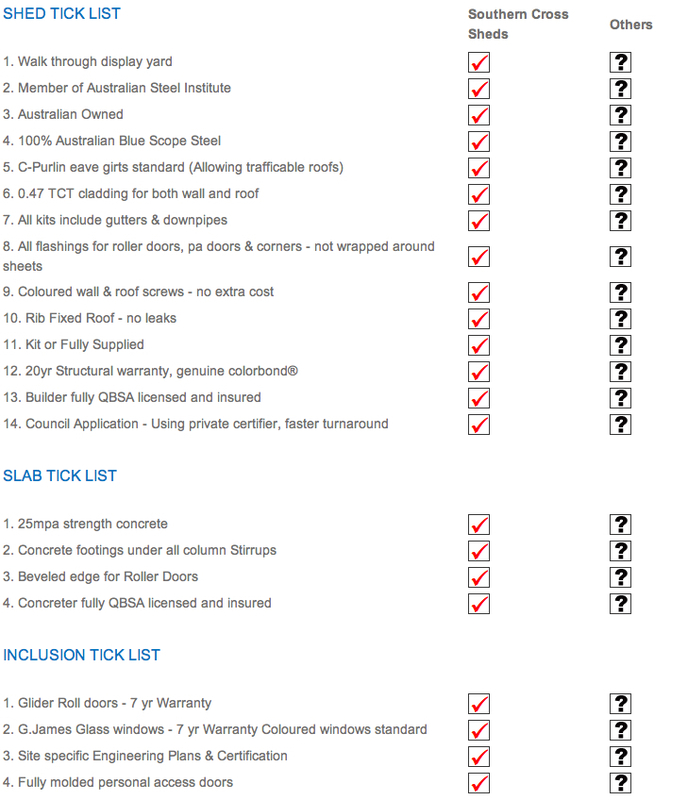 With this in mind, Southern Cross Sheds have compiled a checklist for you to assist in answering your questions and purchasing a quality product. We have compiled this checklist to assist in answering your questions to purchase a quality product. 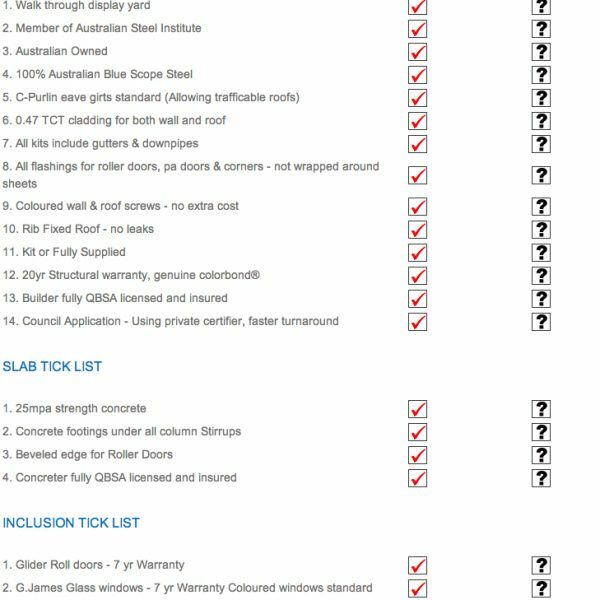 Download our Shed Shopping Checklist and see for yourself why Southern Cross Sheds is quickly becoming the preferred shed builder in your area for Domestic Sheds, Industrial Sheds, Patios, Carports, Aircraft Hangars, Covered Arenas, Stables and American style Barns.